Indian badminton did not have the kind of 2018 that everyone expected as no Indian men's singles player was able to win any big World Tour title this year although PV Sindhu gave India a reason to forget about the upsetting year by winning the BWF World Tour Finals 2018 recently. Sindhu will represent the defending champions Hyderabad Hunters in PBL 2018. 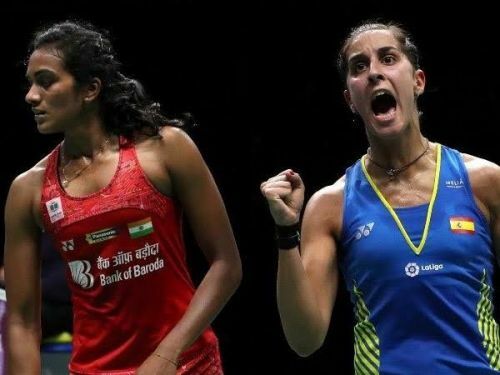 PBL Season 4 will kick start with a high-profile encounter between Sindhu and Carolina Marin on December 22 in Mumbai. Last year Marin led Hyderabad Hunters to the coveted trophy. But this year, she will represent the new team in PBL, Pune 7 Aces which is co-owned by actress Taapsee Pannu. On the BWF circuit, the head-to-head record between Marin and Sindhu is 7-5 in the favour of Marin, whereas in PBL, Sindhu has faced Marin twice and has lost both times. With this, their overall head-to-head record is 9-5 in favour of Marin. In 2018, Sindhu had made 6 finals and has won only one of them. These runner-up finishes includes Silver medal at the World Championship 2018 (lost to Marin in the final), Silver medal at the Asian Games 2018 (lost to Tai Tzu Ying in the final) and Silver medal at the Commonwealth Games 2018 (lost to Saina Nehwal in the final). But Sindhu managed to end the year on a high by winning the season-ending finale, beating players such as World No. 1 Tai Tzu Ying, World No. 2 Akane Yamaguchi, Nozomi Okuhara and Ratchanok Intanon during the tournament. On the other hand, Carolina Marin made four finals in 2018, winning gold in all of them. She won gold at the European Championship 2018, the World Championship 2018, the Japan Open Super 750 and the China Open Super 1000 tournaments. The head-to-head records might show Carolina Marin a favourite on paper to win the match against Sindhu but looking at the recent form which Sindhu showed in the BWF World Tour Finals, all we can say is that this will be a match to watch in the upcoming Season 4 of PBL. The tie between Hyderabad Hunters and Pune 7 Aces will start at 7:00 PM on Saturday, December 22. Star network has bought the broadcasting rights of PBL 2018. It will also be telecast live on Hotstar.